What will you do with this day? How will you spend this trip around the sun? I honestly had never thought of it in those terms. 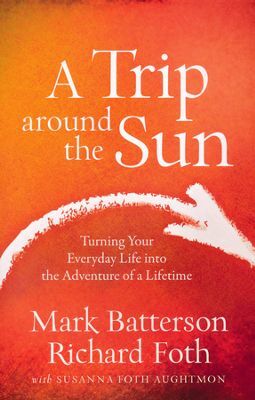 I love the reminder from authors Mark Batterson and Richard Foth, that we are only granted a certain number of trips around the sun. It is totally up to us how we spend them. Batterson and Foth dare us to choose adventure. They ask us to consider experiences over possessions. This book is a great encouragement and might be the nudge you need to live each day as if it were the only one you had left. Life is so short and I am always thankful for the reminder. I was given a complimentary copy of this book by its publisher in exchange for an honest review. All opinions are my own and I have not been compensated in any way.